Product as described but took quite a while to arrive. Thort I was not going to receive it. Need better communication. 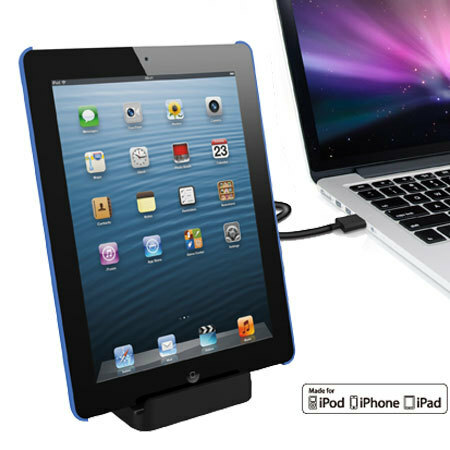 The Dock Is very smart and extremely sturdy. It also looks ok. Unfortunately it is so difficult to connect the IPad to the dock that we have stopped using the dock. I suppose that it is the nature of the Lightening Connector which makes it so difficult.